The U.S. stock market’s worst performance in three years didn’t damp Americans’ taste for cocktails. Spirits sales by suppliers including Beam Inc. and Brown- Forman Corp. rose 4 percent to $19.9 billion in 2011, the Distilled Spirits Council of the U.S. said today at its annual industry update in New York. 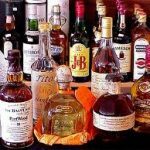 Americans weren’t afraid to splurge, either, pushing so-called super premium spirits, such as Ciroc vodka and Woodford Reserve bourbon, up 12 percent. Spirits took market share from beer brewers last year after a decade of emphasis on high-end drinks, the council said. Distillers also brought in new drinkers by putting a creative spin on classics with introductions such as flavored bourbon. 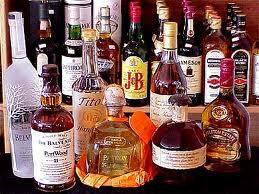 Total liquor sales accelerated beyond the previous year’s 2.1 percent gain. The industry’s growth came even as unemployment remained high and the U.S. stock market languished. The Dow Jones Industrial Average gained 5.5 percent last year, about half the pace of the previous year’s gain. The Standard & Poor’s 500 Index was little changed.